"What Digital Downloads Mean For The Aesthetics Of Metal"
What an excellent article! Says the author: "The ongoing transition from CDs to an entirely digital format raises larger questions about what the move to digital means for metal – a genre inextricably linked to images and artwork. What will the digital age mean for the aesthetics of heavy metal?" As a music fan and a record collector, I can really relate to this. Band and labels are putting a lot of hard work into artwork & packaging, and no matter how convenient, it's unlikely that digital music will ever provide the same pleasure. The Pirate Bay trial ? They're gonna walk. The new U2 album leaked by the record company? It will happen again and again. Eminem's publishing company sueing the label for alleged unpaid digital royalties? That's just the beginning. Not the greatest of time to be a music industry exec, I guess. Some words of confort, then. I did buy 3 CDs yesterday (indie labels only, I'm afraid): great bands, limited editions releases, fantastic packaging, bonus DVDs, etc. If you give fans value for money, they'll buy. If you consider them as cash cows or if you call them thiefs, they won't. "Graduated response": here comes filtering! "The French minister of Culture in charge of the law setting up "graduated response" against filesharers ("HADOPI" or "Olivennes Law", or "Création et Internet") announced that public wifi hotspots will have to be filtered to allow only access to a "white list" of authorised sites"
This measure is part of an official report (in french only) revealed by PCInpact. Says la Quadrature du Net: "This is the paroxysm of the absurd logic of this law, dangerous and doomed to fail. This is a perfect example of how a repressive and ignorant legislation can lead to terrible regression for the growth and innovation of our digital societies. French Internet is entering its dark age". I cannot agree more. This is yet another excuse to restrict individual rights. Before you know it, filtering will be applied to all Internet access. And then... what ? Zooming in on DVD sales, the picture is even bleaker : in 2008, they accounted for 1.69 billion dollars, a 16.6% drop compared to 2007. Of course, studios will blame it on the recession, but they should know better. "Operators of The Pirate Bay stand trial on Monday in Stockholm. The four defendants from the popular file-sharing web site are charged with being accessories to breaking copyright law and may face fines or up to two years in prison if found guilty. Read the full article here. There's also an "official" blog on the trial. "Multi-platinum hard-rock band METALLICA will release "The Complete Metallica" — a digital "box set" containing their entire official discography, exclusively via iTunes beginning March 31. The package will be available from all other digital service providers beginning April 28"
Pricing hasn't been announced yet. Read the full article here. Steve "Woz" Wozniak, the God of Geeks (and co-founder of Apple Computer with Steve Jobs) has joined SSD storage champion Fusion-io as Chief Scientist. 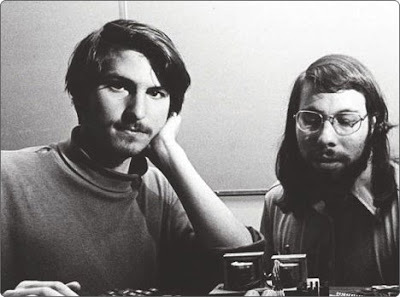 Responsible for the hardware design of the Apple I & II (and for a lot of the software too), Woz left Apple in '85 and kept pretty quiet ever since. Everyone knows how dominant Apple is in the digital music world, thanks to the iPod, the Tunes music store and now the iPhone. In a previous post, I showed you how to install lastfmlib on mediatomb. This C++ library introduces Last.fm scrobbling for audio files streamed to your favorite UPnP device. It all worked fine with the PS3, but only for file formats supported natively (MP3, etc), i.e. not for transcoded files (like FLAC). I discussed this with Dirk, the author of lastfmlib. I'm happy to report that he sent me a patch yesterday, which I've successfully tested on the latest mediatomb release. The installation procedure described in the original article is unchanged.